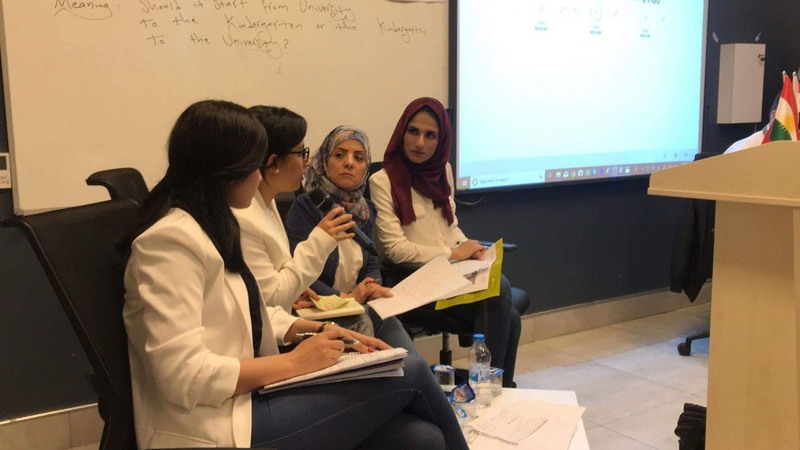 From the left: Neivin Werty, Zilan Sarmami, Hind Hasan and Shayma Faruq. 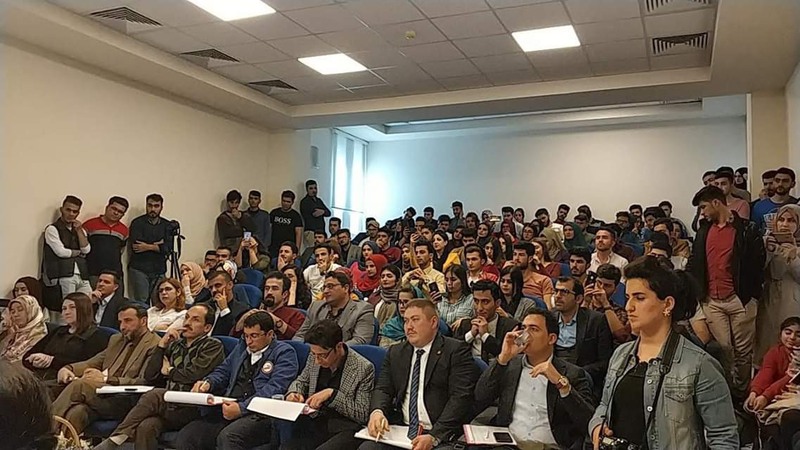 On Wednesday, 10 April 2019, SUE in faced Soran University in their third debate titled “Reforming the System of Education in Kurdistan Region: Should it Start Top to Down or Down to Top?” Meaning: should it start from university to kindergarten or the kindergarten to university. 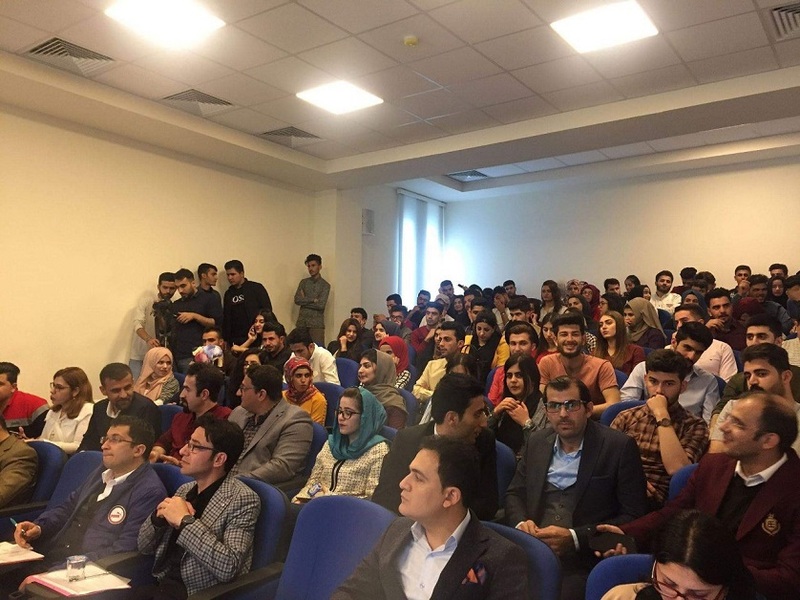 In an academic environment, both houses presented a competitive debate, worthy of all expectations, in which the Salahaddin University scored 95 points whereas 92 points were scored by Soran University. The debate was mediated by international jury members who used standardised and objective rubrics to reach the final decision. 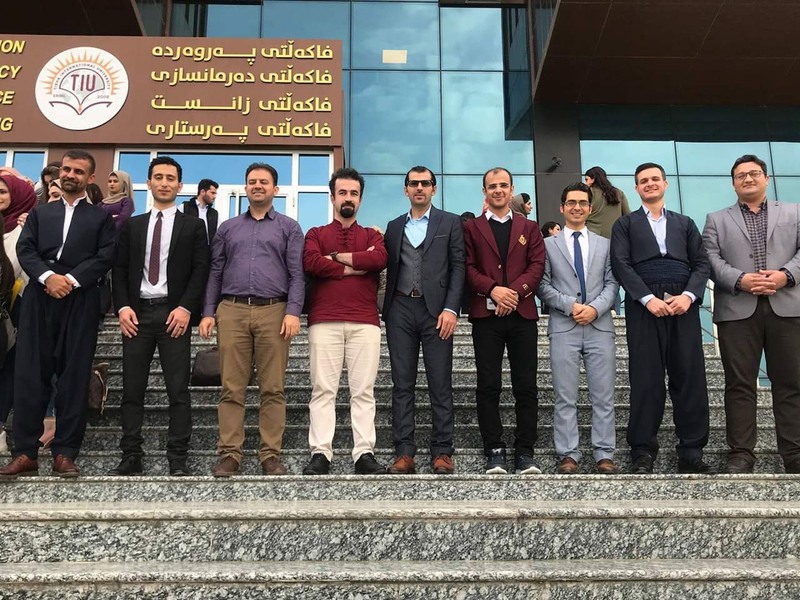 In the last two successful debates, SUE debated Jihan University and Koya University, and Soran reached semi-finals after winning two debates with Komar University and the University of Kurdistan-Hawler. It is worth mentioning that this year’s debate has seen a lot of enthusiasm from the participants and the universities. 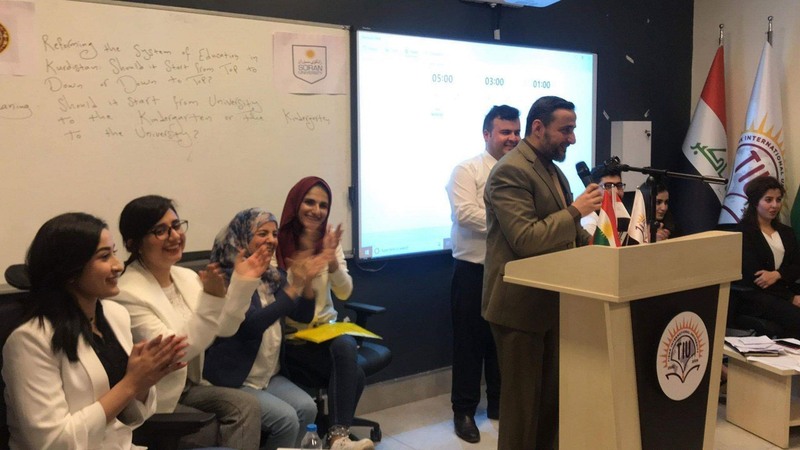 Sixteen of the best universities in the Kurdistan Region have participated. The debate was arranged by ELT Department of Tishk University, by Head of ELT Department Dr Venera, and Mr Bukari Abullah a lecturer from SUE. The project was originally proposed by Mr Bukhari Abdullah, and this is the second debate of its kind arranged within two years’ time. Teachers: Mr Zhiyar Othman, Mr Saad Mahmoud, and Mr Hewa Faqe Rasool. Students: Shayma Faruq, Hind Hasan, Zilan Sarmami, Neivin Werty, Paywand Khasrao, Gashaw Adbulwahab, and Zhilan Mostafa.